Ni a dhe Resrudh, Porthpiran, Truru ha Hellys rag Gol Piran. We go to Redruth, Perranporth, Truro and Helston for Pirantide. Rod Lyon a gews dhyn ow tuchya an Worloor. 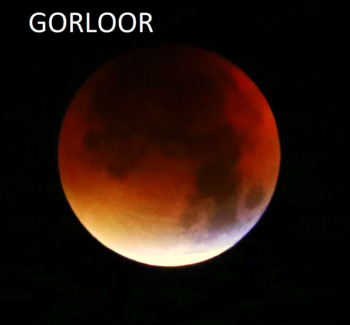 Rod Lyon talks to us about the Super Moon. 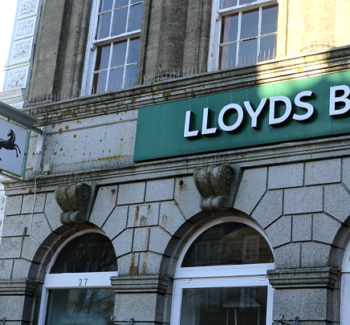 Ray Chubb a gews dhyn ow tuchya kudyn tyli checkennow yn Lloyds. Ray Chubb talks to us about the problem of paying cheques into Lloyds. Nicholas Williams a lever hwedhel Trelawny. Nicholas Williams tells the story of Trelawny. Yth eson ni ow koslowes orth Kan Rag Kernow We are listening to Song for Cornwall. Lowender Peran a synsas esedhvos kana morganow / Lowender Peran held a shanty singing session. 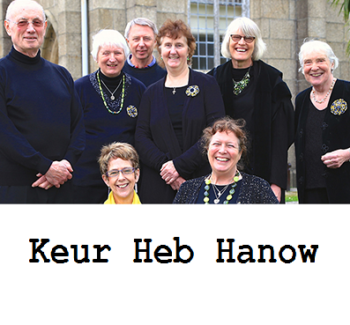 Rang #410 – Keur Heb Hanow Dyski a wren yn kever hwedhel a Geur Heb Hanow. We learn about the story of Keur Heb Hanow. Matthew Clarke yw jornalyas hag a ober der radyo yn Kernow. Ev re skrifas lies kan y’n taves ha’ga seni gans y vagasow Skwardya ha Krena. Krena a waynyas Kesstrif Kan PanKeltek 2005, hag yth esa bri meur a-hys an bys dhe Skwardya 2006 pan dorras hwedhel a-dro dhedha ow kana Beatles der Gernewek. 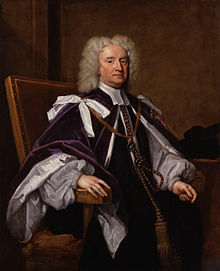 Kyns es dalleth Nowodhow an Seythen ha Radyo an Gernewegva, Matthew a skrifas nowodhow yn Kernewek warlinen dres lies bledhen, ha gwiasvester o gans gwiasva Kowethas an Yeth Kernewek: Warlinenn. Hag ev owth oberi gans an Kowethas, ev a dreylyas lavar dhe Gernewek rag askororyon The Simpsons. 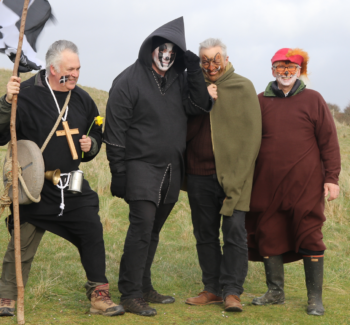 ‘Rydhsys rag Kernow lemmyn!’ veu kriys gans Lisa Simpson yn dyllans arbennik an dowlen Nadelik 200. Nicholas Williams was born in Essex and taught himself Cornish while still at school, becoming a language bard while in his teens. He learnt Irish as a student and for over thirty years taught Modern Irish in University College, Dublin. Y feu Nicholas Williams genys in Essex hag a wrug desky Kernowek dhodho y honen pàn esa ev whath i’n scol. Nyns o va ugans bloodh whath pàn veu va gwrës bardh yêth a’n Gorseth. Ev a dhalathas studhya Godhalek i’n ûnyversyta ha dres moy ès deg bledhen warn ugans ev o arethyor in Godhalek Arnowyth in Coljy an Ûnyversyta, Dulyn. Tim Saunders yw bardh a-vri gans lies lyver dyllys yn-dann y hanow. Ev yw trigys yn Kembra gans diw vyrgh dhodho neb a gows Kernewek ynweth. 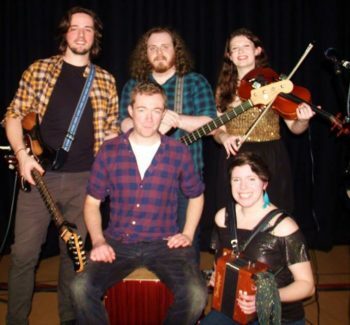 Ev yw freth yn Kembrek kekeffrys ha Kernewek ha re skrifas a-barth towlen bellwolok S4C ‘Pobel y Cwm’. Ev a wra deryvas nowodhow Kembra gans RanG omma hag ena. Tim Saunders is a well-known poet with many books published under his name. He lives in Wales and has two daughters who speak Cornish too. He is fluent in Welsh and Cornish and has written for the S4C programme ‘Pobel y Cwm’. He does a Welsh news report every now and again for RanG. Trigys yw Ashley yn Lannstevan hag ev a dhyskas Kernewek dhe klassys gorthugherweyth ena hag yn Kelliwik ynwedh. 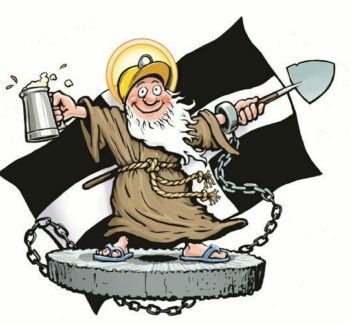 Ev a wra kevri dhe’n dowlen termyn dhe dermyn, yn arbennek, yn unn rekordya hwarvosow yn Kernow Soth-Est kepar hag an servis nadelik yn eglos Sen Iv. Ashley lives in Launceston and he learnt Cornish at evening classes there and in Callington. He contributes to the programme from time to time, in particular, recording events in South-East Cornwall such as the Christmas service in St. Ive church.